It's time to make your rental house into a home! We've partnered with Sherwin-Williams® to share lease-friendly design tricks to transform your space. Any space you inhabit should feel like home, whether it's a short-term rental or the deed has your name on it. While many lease agreements limit the number of heavy-duty changes that can be made to the property, landlords often allow renters to amp up their dwellings with a fresh coat of paint — as long as it's returned to its prior color before the premises are vacated. If you're itching to give your rental a much-needed makeover, read on to discover unexpected paint projects in trending, vibrant purple that will refresh your home — and keep the landlord happy. Forget basic beige or white kitchen cabinets, because 2018 is all about vivid violet! 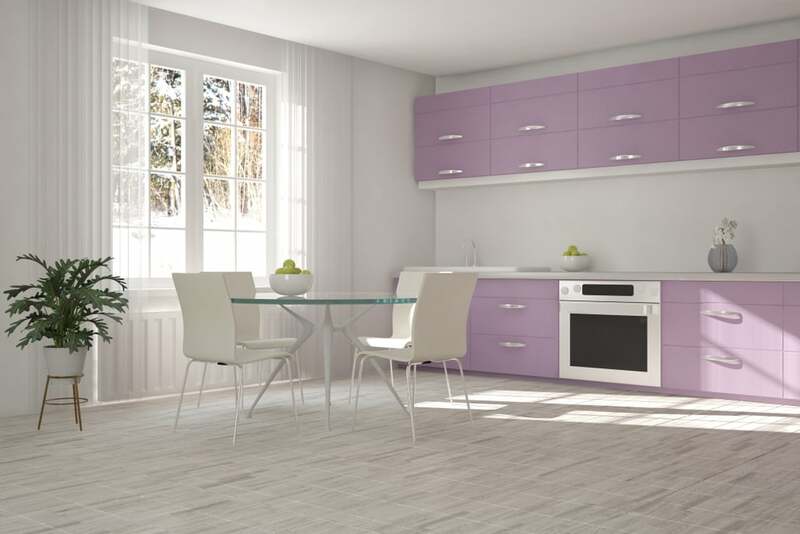 Instead of sticking with your rental's neutral-colored kitchen storage, personalize your cabinets with a fresh coat of purple paint. The color will provide a soothing backdrop for all of your culinary endeavors. A fresh coat of paint can do wonders for your bedroom during the span of your lease. 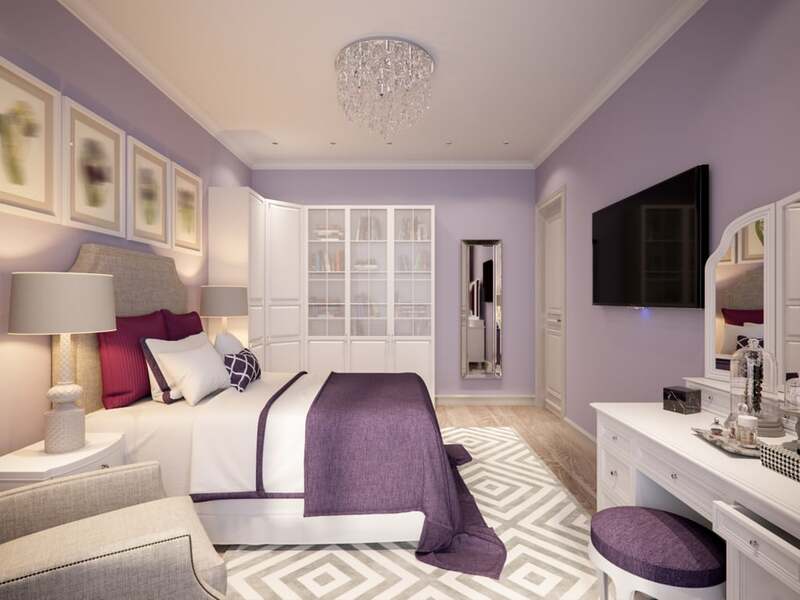 Inspired Lilac SW 6820 by Sherwin-Williams is a trending color for 2018 and happens to be an incredibly pacifying shade that's perfect for combating the stress of urban living. If your rental's bathroom is decorated in colors that aren't quite your style, the fix is simple: a tranquility-inducing coat of purple paint! Preparing for the day in an orchid-colored bathroom will add pep to your step and glamorize your beauty routine. Whether you collect vintage teacups or books, your collection deserves to be displayed stylishly. To exhibit your items in their best light, paint an accent wall behind them a brilliant purple shade and arrange them on a gold metal etagere for optimal visual impact. 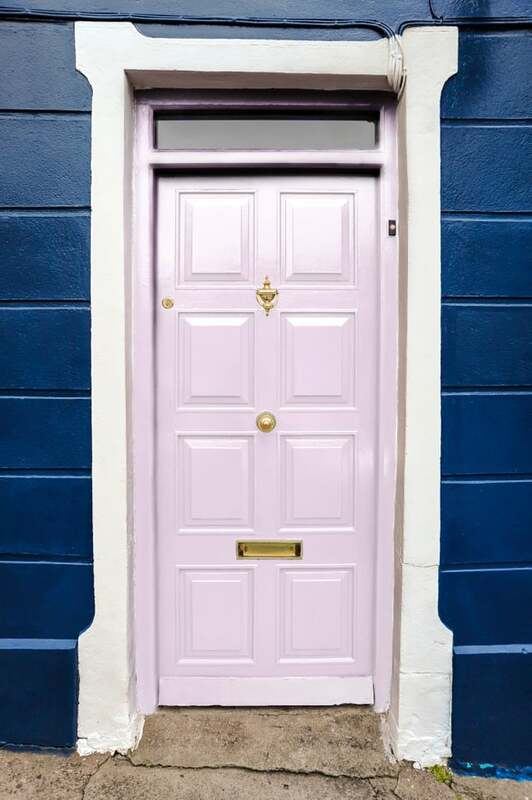 Ensure your guests make a dramatic entrance during every visit to your home by painting your front door in an inviting color like light purple. The trendy pop of color will make your abode stand out from the rest of the homes on your block. However, make sure to check with your landlord before committing to the color. If the front door itself is off-limits, you might try painting the trim or an interior door to your favorite room.